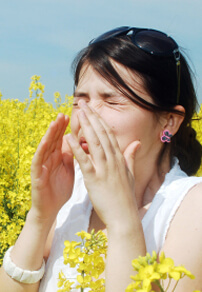 Many people go through a large percentage, or even all of their lives, unaware that they have allergies. Being allergic to one’s environment or food doesn’t just mean a “case of the sniffles” or the occasional runny nose. Allergy sufferers can spend decades suffering needlessly when all they really needed to do was take the time to discover what was causing the allergic reaction and then take steps to eliminate the culprits. Allergy testing is a practical solution for anyone that is having allergy symptoms or perplexing medical issues. Food allergies, for example, can cause a wide array of serious symptoms. Gluten sensitivity is beginning to receive a good deal of attention, but there are many other food allergies that can also be very serious. Testing is an easy way to discover what environmental factors, food or animals could be triggering an immune response. $169.10 for Off Site Pathology Testing plus $180.00 includes Initial and Post Consultation to discuss results and a plan of action. $189.10 for Off Site Pathology Testing plus $180.00 includes Initial and Post Consultation to discuss results and a plan of action. Food allergy is not common and only about 2.5% of the population actually have food allergies. Food Intolerance is what a majority of our patients are diagnosed with. The most common food allergies are peanuts, tree nuts (almonds and brazils), eggs, milk, fish and shellfish. Our experienced practitioner’s can assist you with deciphering whether you may have food allergy or food intolerance, however below you can find the differences between the two diagnoses. Reactions are usually delayed and symptoms may take several days to appear. Reactions usually occur quickly, with a maximum of 2 hours after exposure to the ‘reactive’ food. You can be intolerant to several different food groups at the same time. Food allergy involves the body’s immune system and is a reaction to a specific food. Sufferers can experience multiple symptoms, from migraine to bloating, diarrhoea, lethargy and a general feeling of unwellness. Symptoms include: difficulty breathing, rashes, swelling, runny nose and anaphylactic shock. These can potentially be life threatening. $214.10 for Off Site Pathology Testing plus $180.00 includes Initial and Post Consultation to discuss results and a plan of action. $480.00 in-house testing including initial and subsequent consultation to discuss results and a plan of action. Food Intolerance Testing is completed in-house and tests 59 different foods. An initial consultation, testing, results and post consultation can be completed within a week. At the Brisbane Livewell Clinic, we take every aspect of you and your health into consideration. We treat the entire person and not just an aspect. This gives us the ability to not just discover the root of your allergies, but also take steps to address those allergies with a comprehensive approach. Chinese Herbal Medicine, Herbal Medicine, Homeopathy and Dietary advice and planning are just some ways that we can help you address your allergy issues once you have the right information.